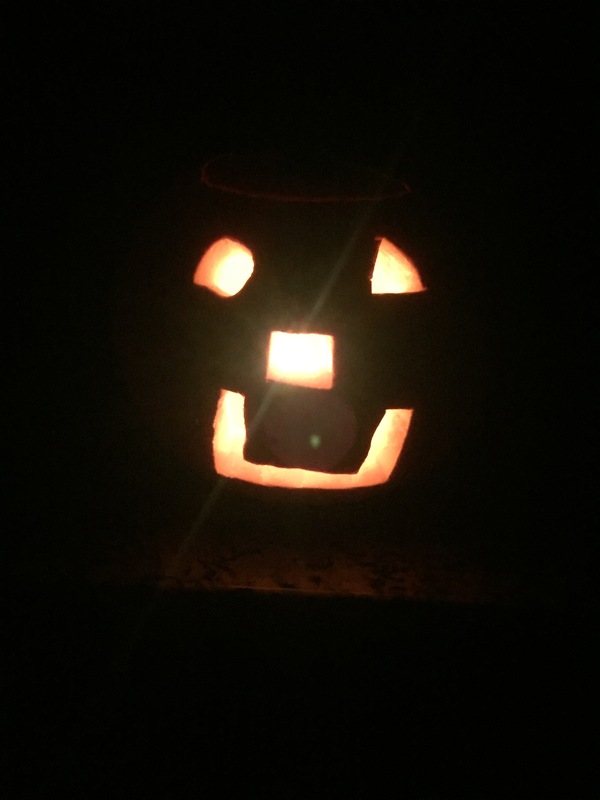 For the first time, we actually were able to harvest pumpkins and my boy was able to carve a good sized one! He picked out his favorite and did all the work himself! And of course we had to light it up to see how awesome that it looks! 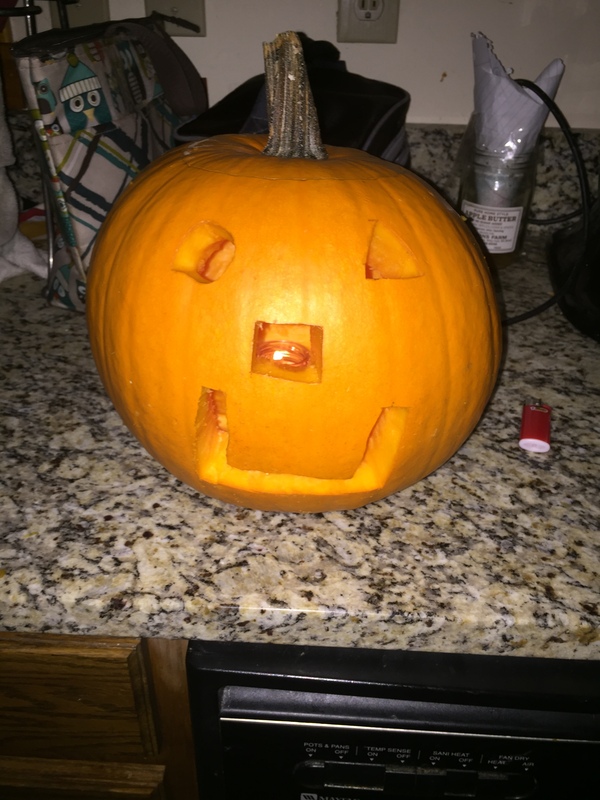 Even though we used this pumpkin for fun, the chickens got the goop from the insides and everything that we cut out. They definitely did not complain! 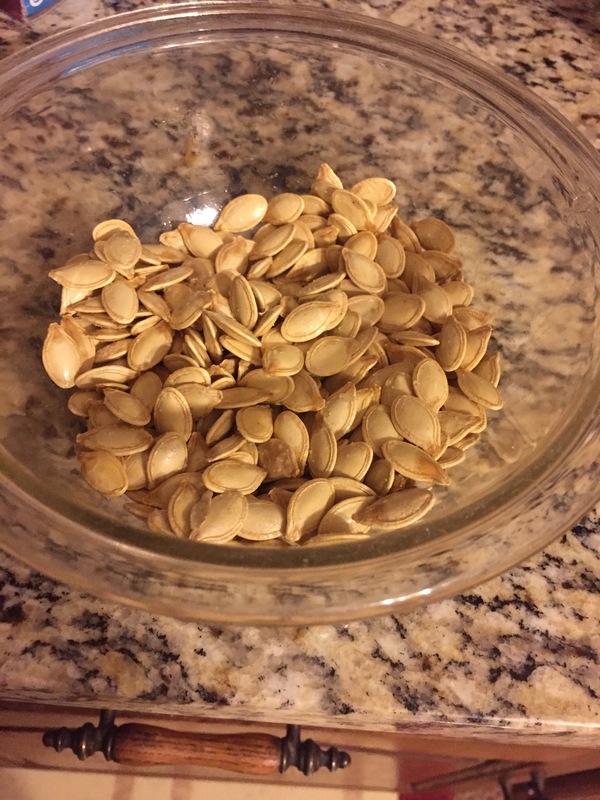 Then, we roasted the pumpkin seeds and polished off most of them before the mister got home from work! And strange enough, I still harvested a couple things from the garden! 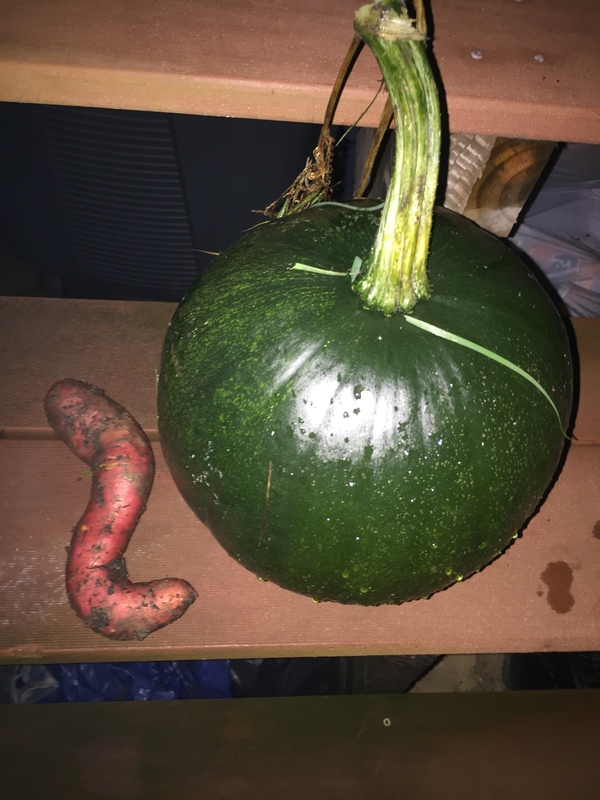 I cut the last pumpkin from the dead vine and somehow found another sweet potato on accident! When it quits raining, I have some garlic that needs planting and raspberry canes that need put in the ground. So much work to do before the winter is in full effect! ← How much is my garden worth?